An Ounce of Prevention - Reduce on-the-job injuries and Worker's Compensation claims. Millions of Americans suffer daily with pain. Let Dr. Mills educate your audience on how they can prevent problems like neck and back pain and Carpal Tunnel Syndrome by lifting, sitting and setting up their workspaces properly. 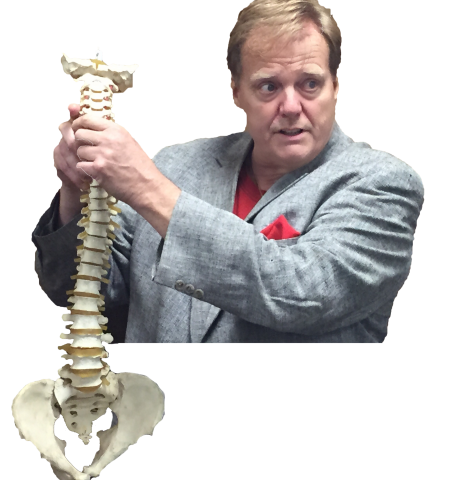 He will share tips on general spinal health, with instruction for lifting, carrying, sliding, and awkward positioning as well as offering safe, natural and effective approaches to prevention, treatment and recovery. Everyday Nutrition - Peanut butter trumps gout and other nutritional advice that can be put into use tomorrow morning with items both in the cupboard and in those supplement bottles you bought, but quit using. In addition to addressing nutrients that typically are beneficial for numerous afflictions, he will also discuss foods that increase inflammation in the body and should be avoided. Drugless, non-surgical treatments – Put down the scalpel. Dr. Mills will discuss natural approaches he has acquired from 33 years in practice, coupled with ancient treatments that can be traced all the way back to the Old Testament. The audience will learn how various conditions can be effectively treated without drugs or surgery.